'Frozen' is about to take center stage at Disney's Hollywood Studios for the summer. 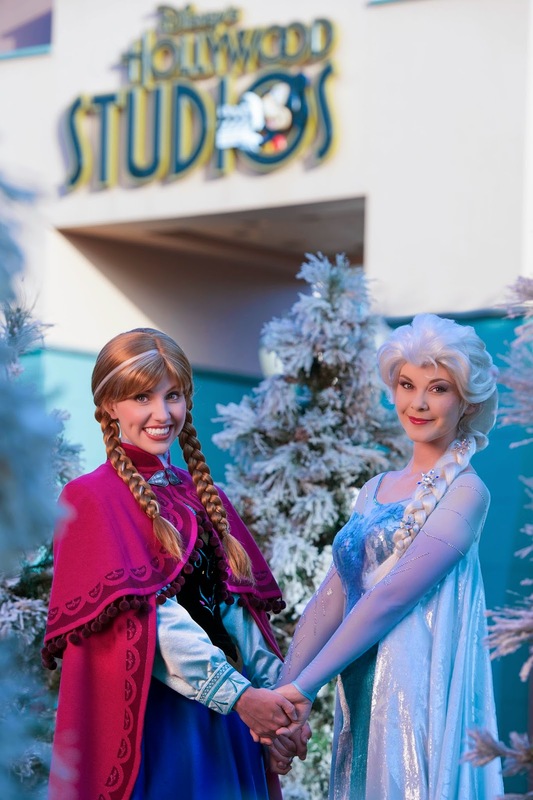 Disney is responding to the huge popularity of the 'Frozen' movie with a brand new range of experiences at the Studios, including an Anna and Elsa procession through the park, a show in the Premiere Theater, ice skating in Soundstage 1, and a brand new 'Frozen' fireworks show. Although Anna and Elsa will be appearing in the Royal Welcome, the Premiere Theater show, and the fireworks show, they will not be appearing for meet and greets. The Magic Kingdom's Princess Fairytale Hall continues to be the only Frozen meet and greet location at Walt Disney World. During the events, Olaf will appear on screen, but not as an in-park character. FastPass+ is not expected to be part of any of the experiences. The fun begins on July 5 and runs through daily until September 1 2014, and here are the full details of what is in store. Anna’s & Elsa’s Royal Welcome: Each day at 11 a.m., Anna and Elsa, riding in a horse-drawn sleigh, will travel in a royal procession down Hollywood Boulevard. Rugged mountain man Kristoff is along for the fun joined by a flurry of skaters, skiers and ice cutters, all dressed in their Arendelle best. For The First Time in Forever: A Frozen Sing-Along Celebration: Inside the park’s Premiere Theater, Princess Anna and Queen Elsa join the Royal Historians of Arendelle for a fun and comedic retelling of the history of their kingdom amidst projections, lighting and special effects. Guests will be invited to join in special sing-along moments from the film’s chart-topping soundtrack. At the end of the performance, guests might find themselves becoming “Honorary Citizens of Arendelle.” The 20-minute show will be presented multiple times each day. Wandering Oaken’s Trading Post & Frozen Funland: There’s a “big summer blowout” happening inside the park’s Soundstage One, where Oaken – the film’s trading post owner – and his cousins have created the “Frozen Funland” amidst a winter wonderland. Living up to its name, there will be plenty of frozen festivities inside the makeshift adventure park Oaken and his cousins built to make the most of the sudden snowstorm. Part of the Oaken’s Frozen Funland will be an ice skating rink with demonstrations by some of Oaken’s talented cousins on the Arendelle ice. In addition, icy artisans will put their talents on display, creating carvings of favorite “Frozen” characters from giant frozen blocks. Kids can enjoy frozen wintertime activities in the “Do You Want to Build a Snowman?” area. For all of his Frozen Funland friends, Oaken has plenty of merchandise at his Trading Post, along with hot cocoa and sweet treats available for purchase. Guests can take pictures with the film’s animated characters in a virtual setting, and then email them or share on their social media channels. When guests want to escape the icy atmosphere of Oaken’s outpost, all they have to do is look for the door marked “Sauna,” where they once again will exit to the warm Florida sun. Coolest Summer Ever Dance Party: From 5:30-9:30 p.m. each evening, a live band will take the stage to celebrate the Frozen summer fun with contemporary songs and a few familiar tunes from the film. Take-Along Olaf: As a special feature before the fireworks, guests will have a chance to be a part of a pre-show celebration by hashtagging photos of themselves in the park with a “Take-Along Olaf.” Throughout the day, Take-Along Olafs will be distributed at various locations in the park. Guests are then invited to take Olaf along with them on their Disney’s Hollywood Studios adventures. By sharing their photos with the unique hashtag #OlafSummerVacation, their photos may appear on the big screen in this special pre-show feature. Frozen Fireworks: At 9:45pm each evening, the giant Sorcerer Mickey Hat on Hollywood Blvd. gets the full Frozen treatment with special projections of snow and ice images, in an eye-popping spectacular above Hollywood Blvd. Set to the film’s soundtrack, the fireworks show will feature some special guests – including a very magical appearance from Elsa in which she will show how her powers flurry “through the air and to the ground” to produce magically icy blue and white gleaming fireworks. In anticipation of the increased crowds at Disney's Animal Kingdom over the next few years, work is about to begin on expanding the parking lots. The grassy area at the rear of the lot will soon be paved and merged into the existing parking lot space. Work should be complete by late September 2014. Here is the full line-up of special entertainment at the parks for July 4 2014. Spirit of America Fife and Drum Corps with performances at 1:00 PM, 2:15 PM, 3:30 PM, 4:00 PM and 4:45 PM. The Snow White meet and greet is once again on the move at the Magic Kingdom. Earlier this month, Snow White was moved from the Town Square Courtyard to Center Street on Main Street U.S.A. Beginning this week from June 22 2014, Snow White will now be meeting guests on the front porch of the Town Square Theater. The summer course at Winter Summerland mini golf will be closing for a series of refurbishments this summer. The closures will take place from June 30 to July 3, July 7 to July 11, and July 14 to July 18 2014. The winter course will remain open as normal. Agent P's World Showcase Adventure is about to get a significant technology upgrade. 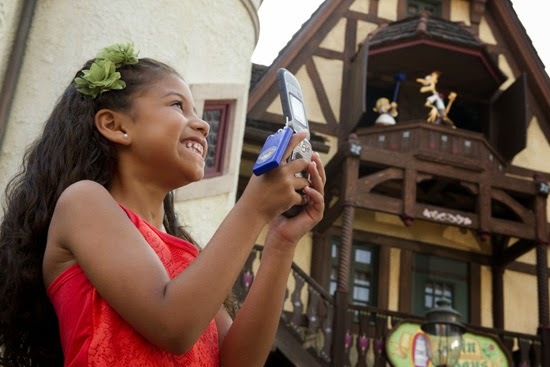 The interactive game that takes place around Epcot's World Showcase will be updated to make use of smartphones in place of the current flip phones. The phones are the main interface to the game for guests, and there is no question that in a world dominated by iPhones and similar devices, the flip phones in the game feel very dated. The game debuted in June 2012 as Agent P's World Showcase Adventure after a conversion from the original Kim Possible which opened way back in 2009. To make the changes, the game will be closed on June 25 and 26. The park operating hours and Extra Magic Hours schedule has been significantly changed in a recent calendar update. Most evening Extra Magic Hours at the Magic Kingdom have been moved to different days from mid-July onwards, along with morning Extra Magic Hours at Disney's Animal Kingdom. Both parks have also seen significant extensions to park hours, and at the Magic Kingdom, an increase in the number of Main Street Electrical Parade performances. Disney's Hollywood Studios has also seen changes to EMH days, and a lot of extensions to regular operating hours and additional Fantasmic! shows. Epcot appears to have escaped any changes so far. If you have a trip coming up, you will want to compare your existing plans with the new calendar. Cinderella's Royal Table at the Magic Kingdom will be closing for a three month refurbishment in early 2015. Cinderella's Royal Table will be closed beginning January 5 2015 through to March 6.